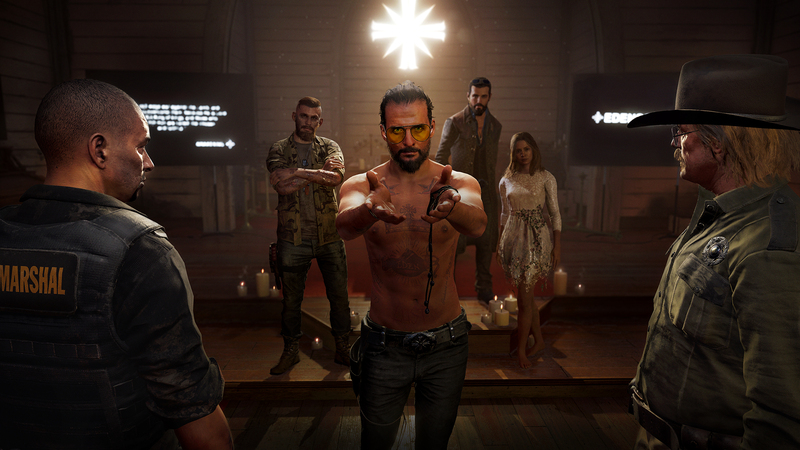 How did the the concept of going with the cult side come up? It was a couple different avenues into it. The team had been thinking about bringing the game to America for a while, and they did a couple scouting locations. 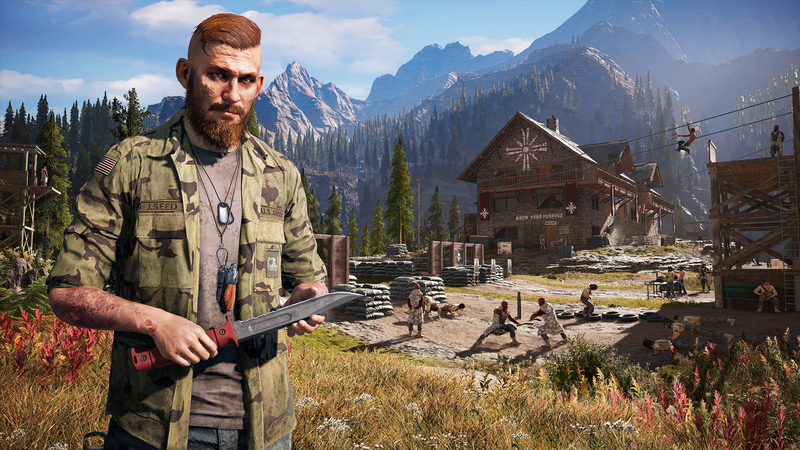 And when they went to Montana, it was like “oh ok, this landscape, that’s Far Cry.” There’s dangerous wildlife, there’s a sense of isolation so big and so vast, so many different biomes, mountains, forests. So they said “this is a really cool setting.” And digging into the history of this place and seeing the different types of people that are attracted to it, like who generally is here. Again and again, these fringe movements, cult movements are drawn to that place because it’s so isolated, because people tend to leave each other alone. It was just this scene that we sent out on auditions and we got a tape back from Greg Bryk, and it took you on that journey and you felt for him. You felt like this was a real guy, and you also felt that he was so compelling, magnetic, and alluring that we went “This is our cult leader.” Everything kind of spun out from there. Now he has a family, and he’s the head of the family but the middle brother. So there’s a family dynamic, and there’s a half-sister. Maybe she isn’t liked by the other two brothers as she didn’t grow up with them. All of that ended up melding it’s way into this big non-linear, open-world, action game, so it’s been probably the biggest challenge of my career. But I think that now people are getting their hands on it, understanding the context of it and seeing what the game has to offer. Finally the game is speaking for itself. Was there any time during development or at least in writing that felt like “maybe this is a little too much,” or “maybe we’re pushing too far in.” Or was there any extremities that you felt you needed to cut out. No, I think we always knew where we wanted the story to go. It was always about Joseph’s message about “I believe the end of the world is coming, and your souls need to be saved. God has told me I have to save everyone in this county,” whether they want to be saved or not. The player is put in the situation of you’re a cop and you have to go in and arrest this guy, and it goes horribly wrong. Okay, you’ve got to save people, you’ve got to save these people, you’ve got to save your deputies, your friends, and you’ve got to take this cult down. That push and pull of the scenes in which the cult insert themselves into your player experience. What’s cool about the story we built, is that it isn’t just about a crazy, charismatic psychopath wanting to toy with you and kill you. The cult has a very specific message, and each one of these characters has something that they want from the player. Jacob (Joseph’s elder brother) has a very specific plan for the player that unfolds as you play through it. But in John’s (Joseph’s younger brother), it’s a very different story; his mission is to bring people into the cult, to welcome the in and indoctrinate them. And that’s what Joseph is saying, “I need you (John) to get this person (the player) on our side,” so that’s what John is trying to do. It’s a different story in Faith’s (Joseph’s half-sister) region, and Joseph’s story loops through every region you’re going through. You’re seeing him and interacting with him way more than you have in Far Cry 3 and Far Cry 4 with the main villain. The big goal is to say, okay, we know in the past Far Cry games Vaas was there, but he was really only there for the first third. Pagan Min was there at the beginning and at the end, but in the middle you kind of sort of forget about them. So how do we make sure these villains feel omnipresent, that no matter where you are, you feel like you are under the thumb of the cult. Each region is sort of stamped with a personality, not just the herald of that region. So if you’re in the Whitetail Mountains, you feel Jacob’s mantra and you feel his presence. But also on top of that, you understand that Joseph is the one leading all of this. So it isn’t just through the cinematics, it’s through the world exploration and talking with characters. From an environment standpoint, it was also a lot of heavy narrative. 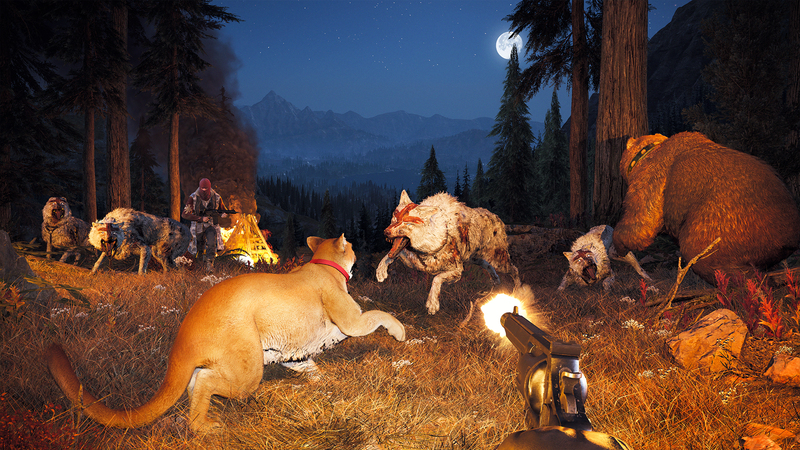 You’ve worked on Red Faction and Bioshock Infinite prior, what drew you towards Far Cry itself? I’ve always been a fan of the franchise for a long long time. I remember playing the first Far Cry. When I first got into games, I wanted to be a writer and also write for games. It’s a pretty specific skill set understanding design, and sort of messing with the CryEngine and building my own levels, and understanding scripting and all that stuff. Playing through all of them (Far Cry franchise), there’s something really fun about playing this game and there’s something cool about its characters. They build characters and they build villains, and they’re not afraid to take risks. 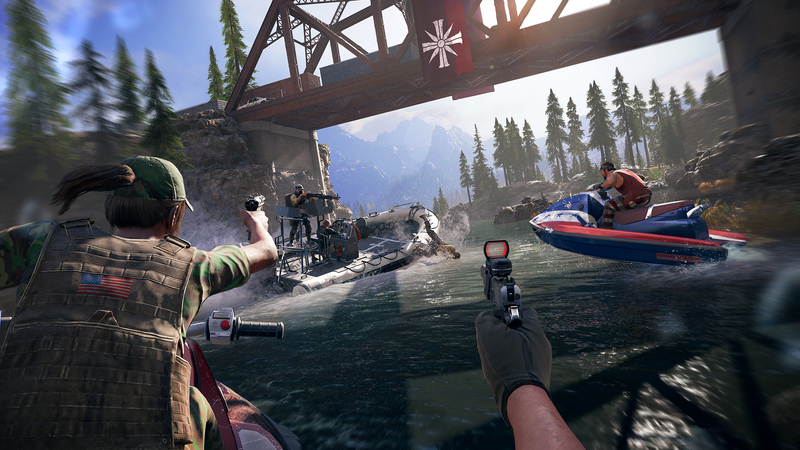 And when I sat down and talked to Dan (Creative Director Dan Hay) about 5 (Far Cry), there was an opportunity for a franchise that I’m really drawn to. And then the ability to say “We’re going to be ballsy, we’re not gonna just play it safe at the character level or at the story level.” We want to be bold and make bold choices, and swing big. Maybe you’ll miss sometimes, but that’s the risk you take to try and do something you haven’t necessarily seen or done before. 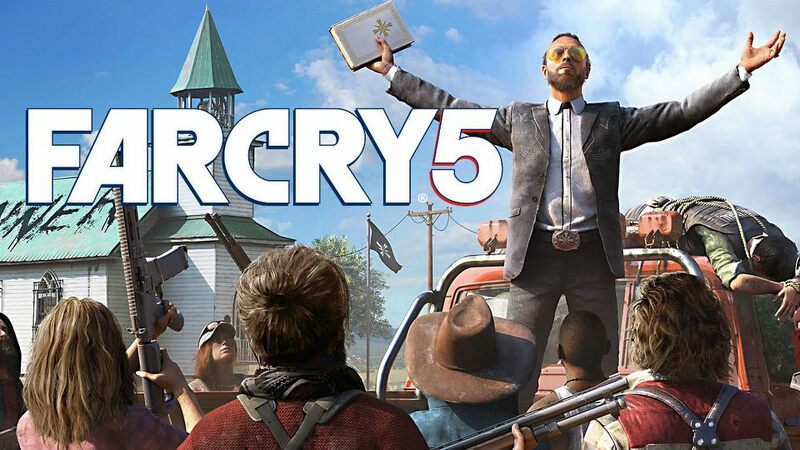 Far Cry 5 hits shelves on March 27th, for Xbox One, Playstation 4 and PC.